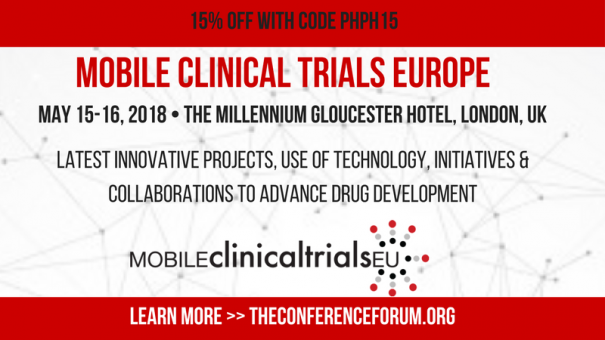 We are delighted to bring the Mobile in Clinical Trials conference for the first time to London. Using our past four years of experience in the US, we are able to present the most relevant and helpful content and case studies on what it takes to launch, execute and scale mobile tools in medicines development. The conference carefully addresses how and when to do this and for what benefit, as well as assesses the value of mobile tools/technologies in clinical research. We plan to combine the best examples of mobile/digital optimization in clinical trials from the UK and other parts of Europe with our examples from the US.